Tivit, Finland’s strategic centre for science, technology and innovation, has initiated a ‘business ecosystem’ called FinnTag that aims to create new and improved ways of delivering NFC tag based digital services. The venture aims to pioneer new processes and tools to allow service providers to more easily purchase, configure and deploy NFC-based digital services cost-effectively and quickly, without any special customization. 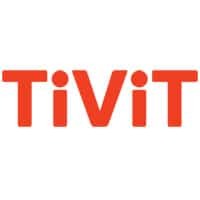 Tivit, which works with Finnish companies to create ecosystems built on shared research and business activities, has formed FinnTag with three businesses — Adfore Technologies, Bonwal and Hansaprint. It has also signed up the City of Oulu and Forum Virium Helsinki as partners for a planned series of retail marketing and city services pilots that will take place over the next fifteen months.